The outlook for someone with tinnitus is generally very good. Tinnitus can be intrusive and distressing to begin with but with time and the right help these things can be greatly reduced or eliminated allowing a full and happy life. Tinnitus comes about when there has been some change in the auditory pathway. This change can result from any of a number of causes. It might result from an illness. Although this is rare it is worth having a medical check-up. It might reflect damage from some other cause or, more likely, it might just reflect ‘wear and tear’. Tinnitus can also come about during or after periods of high stress. As there is no single cause, the way it is managed will vary from person to person. The management of tinnitus involves reducing its intrusiveness and/or the distress associated with it. If we know the likely cause of the tinnitus (for example ear wax), an individual may notice an immediate improvement when this is removed. When it is more difficult to pinpoint what exactly is causing the tinnitus, it may be more helpful to manage the tinnitus itself as a secondary symptom of the original condition (Click here for common causes of tinnitus). There are a number of different methods and devices which can be used to achieve this but usually a combination is used. Some of the more common methods are detailed below. This is applicable to individuals with a hearing loss. Hearing aids will amplify environmental sounds back into ‘normal’ range. This will allow more sound from the outside environment to enter the hearing pathway. This can partially cover the tinnitus sound(s). This results in the tinnitus sound being less prominent. The use of a hearing aid can also mean that a person has to strain less to hear. This makes hearing less tiring and can also make the experience of tinnitus less exhausting. Some people with tinnitus may have only a slight hearing loss. The use of a hearing aid in such cases may still be helpful in reducing the intrusiveness of tinnitus; it is worth talking to your audiologist about this. Some hearing aids have a built in white noise generator which may partially mask the tinnitus. Deliberate use of any sound to reduce tinnitus awareness or reduce the distress associated with it. Environmental sounds such as a busy street, chatter of an office, desk fan and so on. Relaxing sounds such as bird song or rainforest sounds. These devices have built-in relaxing sounds which usually include a timer setting to turn off the sound automatically after a set period of time. These can be linked to a pillow speaker. These devices are particularly good for night time use when going to sleep, waking up in the middle of the night and waking up in the morning. CBT is a talking therapy that has been used in the treatment of depression where it has been found to be as effective or more effective than medication. It has also been used in the treatment of anxiety and in the management of a large number of physical disorders. CBT involves looking carefully at how you think about your problems, what you do about them and how these factors influence the way your problem affects you. The CBT therapist supports you in changing how you think and what you do so that your problem, or the impact of it, is greatly reduced. CBT has been used in the management of tinnitus for over 30 years. It does not eliminate tinnitus but the scientific literature shows that it can lead to significant reductions in tinnitus related distress. The literature suggests that it is the approach for which there is the strongest evidence of benefit. The principles behind TRT state that tinnitus becomes a problem for someone because it can associate with some other stressful event in that person’s life. This association leads to tinnitus being processed by the hearing system as a priority, i.e. it is given great importance. The treatment involves educating the person about that process and the mechanisms of tinnitus. It then entails the use of external sounds to partially mask tinnitus which can include wearing sound generators (that look like hearing aids but do not amplify sound). This process is thought to reduce the association between tinnitus and the stress and so allow tinnitus to become an emotionally neutral experience. Reviews of the scientific literature suggest that the evidence for TRT needs to be strengthened but it is certainly the case that many people have found it a helpful approach. At present, there is no drug treatment for subjective tinnitus which is FDA recommended. Some people become anxious or depressed in response to tinnitus and are therefore offered antidepressant medicines. By relieving the symptoms of depression these medicines can help break the vicious cycle between these symptoms and tinnitus distress. Some people are also offered sleeping medicine. These will usually be prescribed by your GP. Some may increase tinnitus annoyance or intensity, and therefore these could be reduced after discussion with your GP. 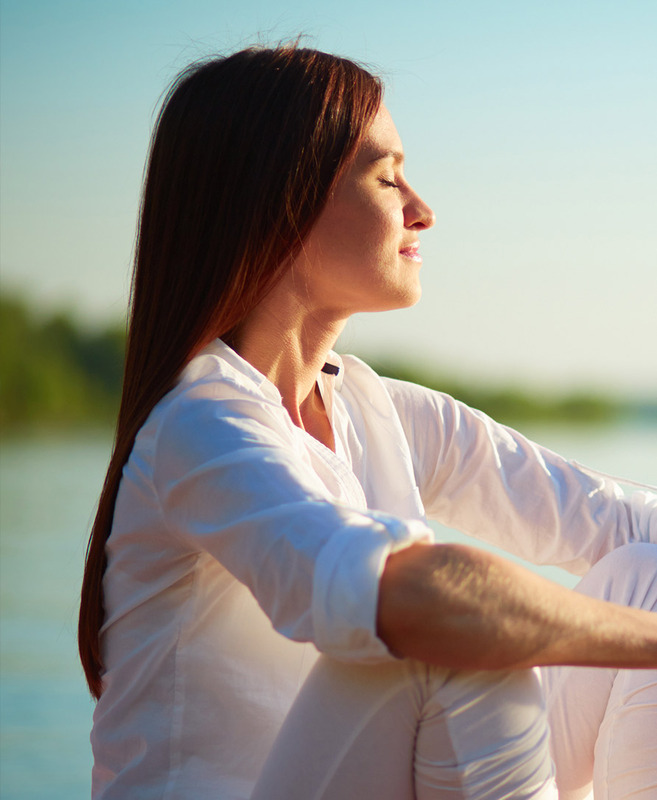 Mindfulness Based Cognitive Therapy (MBCT) is one of the latest developments within CBT. It uses meditation exercises as a method for helping a person observe their physical, emotional and cognitive reactions to things. This observation can help us to respond more carefully to situations rather than automatically reacting to them. This can help us be less distressed. Learning MBCT skills usually takes a few months of regular practice; most people find the practice enjoyable. MBCT is part of the NICE guideline for the management of depression and is also used in many anxiety clinics. It is also increasingly used in physical medicine and has been used in a number of specialist tinnitus clinics for the past ten years. There is now a growing evidence base indicating that it is an effective way of managing tinnitus for many people. Some people with tinnitus complain about difficulties sleeping. Not everyone with tinnitus, however, has a sleep problem. Many people with tinnitus actually sleep very well. The link between tinnitus and sleep problems is therefore not inevitable. The sleep problem is more closely linked to the anxiety or depression that tinnitus can cause. Research suggests that when sleep problems are present they are much the same as insomnia when it occurs without tinnitus. It is now thought that when tinnitus and sleep problems are both present the best approach is to focus on treating the sleep problem and that this will reduce the distress and intrusiveness of tinnitus. Medication can help in relieving sleep problems but they should be used only in the short term. The best way of treating longer standing insomnia is to use cognitive behaviour therapy (CBT). There is a close link between tinnitus and stress. Many people find tinnitus stressful and find that tinnitus is more intrusive when they are stressed. Learning to relax can help to break the vicious cycle. According to the British Tinnitus Association, there are several activities which may help to relieve stress. These include exercise, socialising, changing things in your life which cause you stress (if possible); Other methods of relaxation include breathing exercises, aromatherapy, yoga and tai chi. These things can help you ‘relax’ in a general sense and as a result may reduce the intrusiveness of your tinnitus. “The purpose of relaxation is not to reduce tinnitus, but to deal with the consequences of it” (Andersson & Kaldo, 2006). In a more specific sense relaxation can be achieved by learning progressive muscle relaxation exercises. There is evidence in the scientific literature that these techniques can lead to a reduction in tinnitus related distress and to an improvement in psychological well-being. If you would like out more about tinnitus management, then please click here for more tinnitus resources. Alternatively, if you would like to see our in house clinical psychologist Dr Laurence McKenna, then please click here.